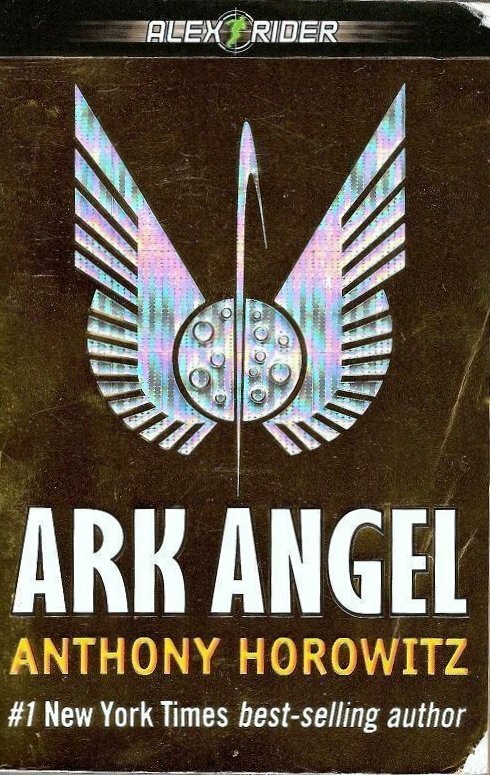 Ark Angel An Alex Rider Adventureby Anthony Horowitz. Alex Rider is giving it up. Being a teenage secret agent is just too dangerous. He wants his old life back. Alex Rider is giving it up. Being a teenage secret agent is just too dangerous. He wants his old life back. As he lies in the hospital bed recovering from a gunshot wound, he contemplates the end of his career with MI6, the British secret service. But then he saves the life of Paul Drevin, son of multi-billionaire Nikolei Drevin, and once again he is pulled into service. This time his mission involves eco-terrorists, rockets to space, maniacal killers, and a less-than-idyllic tropical island. Is it all in a day's work, or will this truly be Alex Rider's last mission? The action-filled plot develops quickly and keeps readers on the edge of their seats. The over-the-top characters, with their exaggerated quirks and personalities, work well in this James Bond-like novel. Detailed background, technical, and political information, essential for any spy story, is uncomplicated and easy for most readers to understand. Scanned images, shiny gold foil cover looks better than scans. 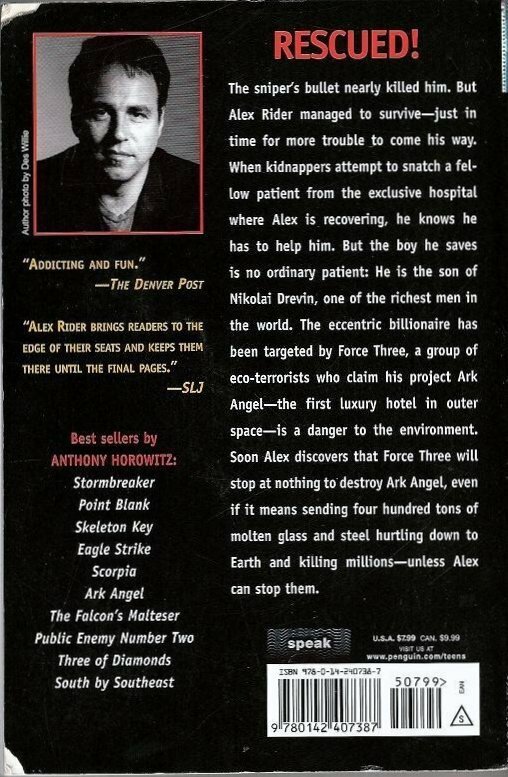 See other Alex Rider books. Willing to make a single combined listing. Contact if interested.